Posted on January 22, 2009, 4:38 pm, by Thomas Hawk, under thomashawk.com. 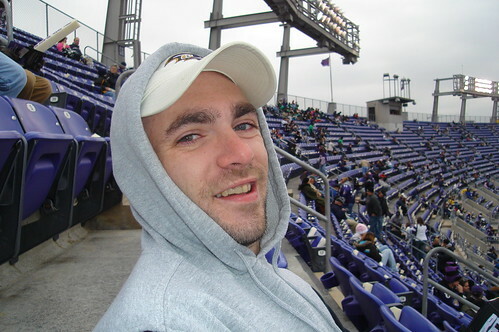 Aaron Brazell is the WordPress king as far as I’m concerned. After three years of thinking about moving from the Blogger Platform to WordPress I finally took the plunge last week. I’d always wanted to make the switch but it just seemed too technically difficult for me to do myself. I’d heard about a bug that wouldn’t allow blogs with lots of comments (I had over 20,000) to transfer all of the comments over from Blogger to WordPress. It turns out that there was in fact a 5,000 comment limit, but a huge thanks to Rick Klau, the Blogger Product Manager, who worked with us to change that (not just for me, but for everyone going forward) so that I could move my blog over to WordPress. Usually helping a customer move to a competitor is not high on anyone’s development list, but I’m really pleased that Blogger helped us with this and I think it goes a long way to show a very positive front from Google with regards to data portability. Aaron has a more detailed post out today about how he moved my blog from Blogger to WordPress here including more of the technical details involved. What I will say is that I was *tremendously* pleased with the job that Aaron did in the migration of my blog. He is an amazing professional and made the entire transfer seamless and easy for me. And I’d really encourage anyone who is thinking about doing any work with the WordPress platform to consider hiring him to do the work for you. In hindsight, moving the blog over is something that I never could have done on my own. I would have spent many hours on the project and been extremely frustrated. If you are on another blogging platform and are thinking of making a change or need any sort of WordPress work done, Aaron is definitely the guy to do it. Since I transferred my blog to WordPress last week it has lit a fire under me with a greater desire than ever to blog. I think I’ve blogged more posts in the past week than any week since I’ve been blogging. I can’t say enough good things about the WordPress platform. I love the way my new layout looks and feels and I feel like I have so much better control over my blog now and so many great tools from the WordPress Community to use. I only wish that I’d moved my blog over years ago instead of waiting as long as I did. Aaron has a consulting page up on his own site here. He actually really needs consulting work right now and things are getting sort of dire for him in this bad economy. If you or your company are considering any WordPress work it would be fantastic if you could take a look at his services. Consider this a ringing endorsement from a very satisfied customer. 🙂 Oh, how did I find Aaron by the way? On FriendFeed, where else 🙂 He’s on FriendFeed here. Posted on January 16, 2009, 9:40 am, by admin, under thomashawk.com. 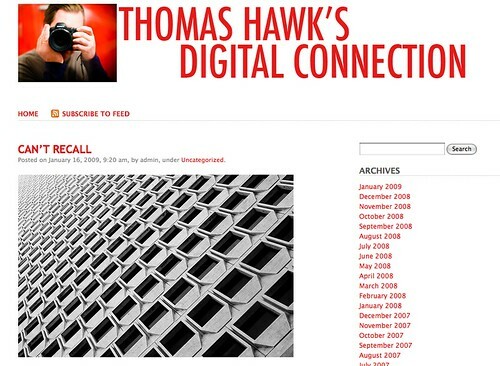 Today marks the first day that Thomas Hawk’s Digital Connection is publishing on WordPress. After over four years publishing on Google’s Blogger platform I made the switch today over to WordPress. Aaron Brazell did the transfer for me for which I’m extremely grateful. Aaron is a pro and I’d highly recommend him should you have any web work that you might need done. I’d also like to especially thank both Google and the Blogger team for providing me with the Blogger platform for so many years. The Blogger team was also very helpful with helping me to move my blog and as part of the process they fixed a Blogger limitation which limited transferring comments to 5,000 (turns out I’ve got 21,896 comments on my blog over the past four years). The main reason that I moved over from Blogger to WordPress was due to comment spam. My blog has been very heavily hit by comment spam over the past year especially and without a tool like Akismet or an easy way to search and bulk delete spam comments Blogger wasn’t working for me in that regard. I am excited also though to begin working with all of the interesting tools and plug ins that seem to thrive in the WordPress Community. I still need to do a few design tweaks to the layout of my new blog, do a little work with my archives and photos, get my blogroll back in place, etc. Aaron’s going to help me with some of this stuff in the next few days. As part of the change I decided to go with a white background instead of the dark blue background that I’d used for so many years. I originally picked the dark blue background because I thought photos looked better against a dark background, but over the years I had a lot of complaints from people who told me that it was harder for them to read my blog on a dark background. I wanted something that was super easy to read with the new blog and something that was very, very simple so I’m using the very basic plainscape theme. I also redesigned and added a new masthead to the blog. Today I’ll probably spend a lot of time both exploring WordPress, as well as figuring out what cool new things, widgets, etc. that I can add to my blog. If anyone has any suggestions on features, widgets, etc. that you think I should be using feel free to let me know. Keep in mind though that I’m going for a very simple look and feel with the new blog design. I’ve got FriendFeed posts linked up to my blog posts already. I still need to add a FriendFeed badge as well which I’m hoping to be able to do later today. Let me know what you think of the new design. Like it? Hate it? What improvements would you like to see on the blog or suggestions would you have for it?